Vacancy : Senior Associate : Thomson Reuters. Comments Off on Vacancy : Senior Associate : Thomson Reuters. At Thomson Reuters, we believe what we do matters. We are passionate about our work, inspired by the impact it has on our business and our customers. As a team, we believe in winning as one – collaborating to reach shared goals, and developing through challenging and meaningful experiences. With more than 45,000 employees in more than 100 countries, we work flexibly across boundaries and realize innovations that help shape industries around the world. Making this happen is a dynamic, evolving process, and we count on each employee to be a catalyst in driving our performance – and their own. Perform first line review of contracts e.g., IT Agreements, Web Hosting Agreements, Confidentiality Agreements, Software and Data License Agreements, Services Agreements, Statements of Work, Purchase and License Agreements, Supply and Distribution Agreements, Staffing, Consulting and Teaming Agreements and other commercial contracts. Assist senior team members in negotiating contracts for our clients from various sectors such as Banking, Telecom, Healthcare, Aerospace, Heavy Industries, Manufacturing Companies, Finance Company, Human Resource Solutions and IT Services Industry, Power Management Company etc. Contribute towards the creation of project playbooks and other knowledge tools to successfully meet client expectations. Draft responses to parties’ stands to ensure conformity to client specifications to ensure best representation of client requirements in agreements to be reviewed by senior. 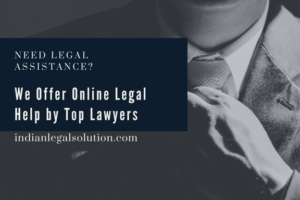 Act as a team player while working with a team of lawyers within the organization as well as the clients’ legal representatives and business team on projects involving the agreements described above. Confirm to deadlines on client deliverables without delays and re negotiate deadlines (when necessary) well in advance of originally scheduled deadline; escalate client issues promptly and appropriately; consistently complete real time client call notes. Eligibility Criteria/ Skills Required:Click Here to apply for this job. How to Apply? :Click Here to apply for this job.